It did not take long to realize the counties in Virginia presented their own set of problems. Caroline Co. was formed 1728 which was some 34 years before my Nicholas Jones was born. His Revolutionary War service record stated that his father's name was Griffin Jones, thus it would seem likely that Griffin occupied this area when Nicholas was born. 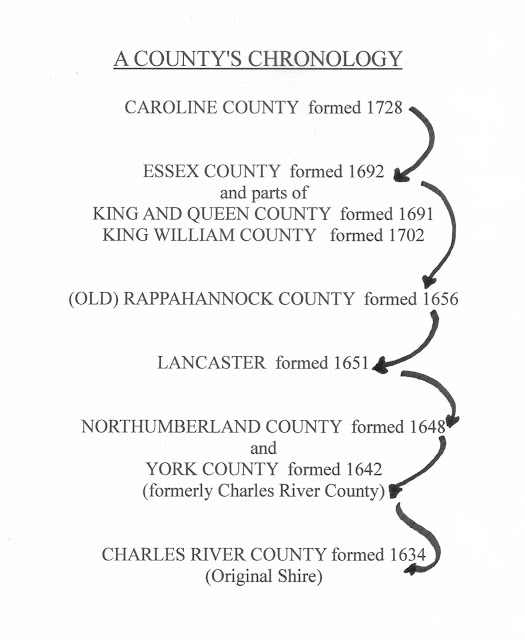 Asking who was the first JONES to be settled in this area, I needed to understand the chronology of this county. The following figure presents these findings. 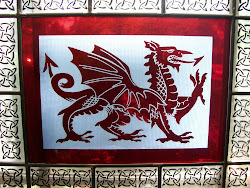 "Per bend sinister ermine and ermines, a lion rampant or a bordure engrailed of the last"
A "lion rampant" indeed it recorded. Had not seen such an unusual name as this, but this arms was found in Burke. [See several previous post that describe the symbols used among the surname JONES.] Who was this Cadwallader Jones, and was he the beginning of my family in what was to become Caroline County.